and had a close and enduring friendship with Thomas Jefferson. North and South Carolina border. Excellent post Willow. I am especially interested in the war for indendance. Thanks for sharing the story, and the quote by Twain. Wonderful ancestry you have, Willow. How fortunate to be able to know their names too. Mine are lost in the mists of time. And then, to visit their grave? It must have been quite moving to be at the grave of the man who lived so valiantly, and to know that you are related. Your Philly tour is uncovering many layers; each of your posts on this trip is so varied, I'm really enjoying sharing in it. I dropped by, Willow, to thank you, Willow, for dropping by Nick’s Bytes. Of course, since you tested out as 100% psychic, you knew that I’d visit. I am quite impressed with your blog and intend to return. Willow, you are quite the family historian..very interesting post. I'm like Lavinia..bits and pieces of our ancestry surface now and then. Nice quote by Twain. I find this fascinating, I devour history, one of my favorite places, William and Mary, and Moticello. How fortunate for you to have such a devoted and honest ancestor. I just noticed the new pic of Willow Manor on your sidebar. It's a storybook house, beautiful, gracious, love the ivy covering. You are so lucky to live where you do. Willow - thank you for sharing your ancestors with us - this is so fascinating. So I take it you are the official family historian? Nice ancestry you have there Willow. I wish I knew more about mine. I like this photo too. Happy Memorial Day. I love the photo. 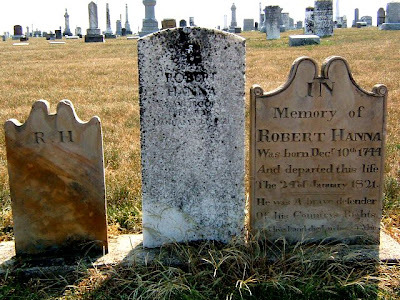 It prompted a conversation between the professor and me about a Civil War era cemetery in our town, as he shared its history with me and upon viewing your photo I am itching to ramble around in that shady place with my camera. Fascinating history behind your sixth great-grandfather! Thanks for sharing. What a beautiful post, Willow. And Mark Twain is one of my favorites--he always had such a wonderful way of putting things that just made sense. Lovely photograph, too. Very fitting for today. How wonderful to know your ancestry so well and have this amazing picture. Great post and pic. You are so full of family history. Thanks for taking the time to surface all of this wonderful information and history concerning our ancestry. You're the best! What a fascinating post, Willow! How very interesting and wonderful you can trace your family back that far. That's rather rare-- and with a photo to boot! Ttank you for posting. Very apropos for Memorial Day too. Hello distant cousin :) What a wonderful tribute to our Great Grandfather. Robin (as I call him) is my 5th great grandfather. And what a beautiful picture of our ancestral grounds. And of the headstones too! Our Grandfather wrote a letter to T.J. asking him to present to congress a bill to give compensation for those that fought in the civil war and for the wives to be compensated. If possible, please contact me. Kee, I would love to contact you, please give me an email address. It's always fun to connect with distant cousins out there!